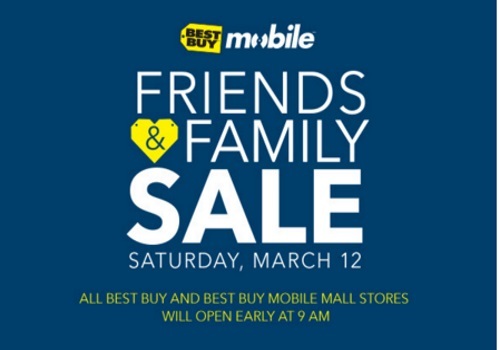 Best Buy has a Mobile Friends & Family Sale today! Save on unbeatable deals on the hottest smartphones and accessories! Offer is valid Saturday March 12 at all Best Buy and Best Buy Mobile mall stores.